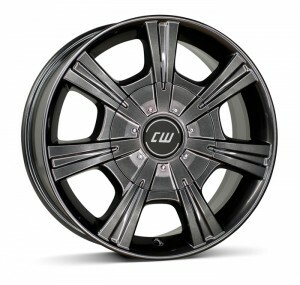 The Borbet CH is a reinforced van wheel for those who are looking for a wheel bigger that the standard model. The CH is a 7 spoke wheel with a large centre cap, the latest version of the wheel has been finished in gloss antracite grey. Each spoke of the wheel is grooved to add character to the wheel.